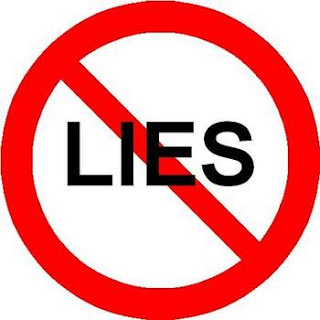 Lady Talks a Lot: My Son Lied to Me Today – How to Deal with it. 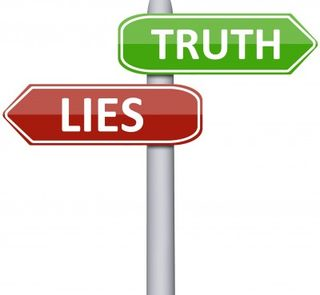 My Son Lied to Me Today – How to Deal with it. 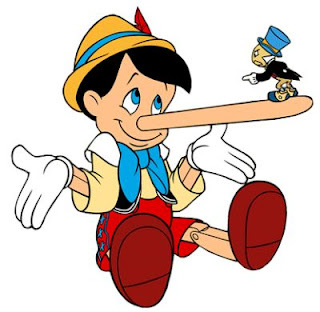 First I expect the kids to lie to stay out of trouble – most people do, children and adults. However, that does not mean my children get away with it. Usually they lie about little things like who left the hall light on. It is usually, “Not me”, “I don’t know” or any other answer like, “I forgot”. We tell them I don’t know or not me don’t live here and get them to turn off the light or fix whatever the issue is. When my daughter started grade one she also started taking things from school and telling us a friend gave it to her, or it was a prize from school we quickly questioned it. We confronted her and made her tell the truth. Part of what we did was go into the school and talk with her teacher to find out the truth – in front of our daughter. She had no choice but to confess to taking things and telling lies. It was quickly and firmly dealt with. We consistently followed up to make sure she did not start stealing again. We explained to our kids that telling us the truth is very important, and that telling a lie results in a much worse punishment then owning up and telling the truth in the first place. Also that once they lose our trust it is a very hard thing to earn back. 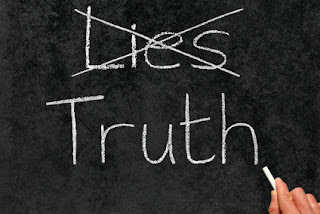 My kids know that telling the truth is important to us, even when we don’t like the truth. So I was quite upset when my son lied about a big thing tonight. My daughter came down stairs and told me my son had a big red bump on his head. She tends to tell on him a lot, but this time she did the right thing and I told her so. My son comes down the stairs with his bangs hiding a great big red bump. We asked what happened – I don’t remember. I don’t think so. We quickly figured out he had been injured about two hours earlier when he had been playing outside. So now came the fun part of trying to piece together what happened. We could tell my son was reluctant to tell us what happened. Usually when he gets hurt he is the first one at the door telling us he has been hurt. I mean even bug bites he is at the door looking for sympathy and attention. We have some “bad” kids in the area who like to hurt the other kids. Our son knows that we don’t want him playing with them. We thought maybe he was playing with one of them and was injured by one of them. That he was reluctant to tell us because he knows he is not to go near those kids. Nope, he was not playing with any of them. Once we confirmed that he was not hurt by another child we concentrated on getting the real story. The story we eventually heard was that he slipped and fell and hit his head. That it was just an accident because he was running. No way was that story the truth, not where the big bump was. I asked very specifically if he had fallen off the fence and hit his head, and he said no. However we let it go and my husband checked him over to make sure he was ok. He was made to sit on the couch with an ice pack until bed time. I waited until he was in bed, safe. He had gotten away with it. Not likely. I had a little talk with him explaining that I knew he was lying and why. I had a very good idea of how he had hit his head but needed him to tell me. After about a half hour it all came out, exactly what I expected. He decided to climb over the fence instead of using the gate, slipped and fell head first onto a cement pad in our neighbour’s back yard. He knew he was not supposed to be climbing the fence, that’s why we have gates. So he hid the bump and did everything he could to keep us from finding out. He was expecting a full out punishment for doing something we have been telling him for years not to do. Instead he got me explaining to him how dangerous not telling us about the head injury was. With the fences we have around the back yards he could have really hurt himself, get a concussion, or died. It took a lot but I think I got through to him that he has to always let us know when he has been injured. Even when he thinks he will be in trouble. It is way more important to be safe and healthy. Also I was very blunt about the type of injury he had and how much worse it could have been. Most importantly I let him know that by hiding it he could have made things much worse. If we had to rush him to the hospital and had no idea how he got hurt or when, how could we tell the doctors what they needed to know? I also calmly explained to him how upset I was that he lied to us. I think I got through to him because I was more concerned about getting him to understand, then punishing him for the lie. There are still going to be consequences for telling us lies, but it is far more important to me that I can trust him, and know that he understands why the truth is so important. I am still very upset that he lied to me. Getting angry with him, or punishing him this time would backfire. Being calm and worried about how injured he was and how much worse it could have been was way more effective this time. To be blunt, I think that scared him far more than any possible punishment I could have given him. It was also very important for him to realise that he cannot get away with lying to us. We knew he lied, and figured out what happened all on our own. There is no benefit to lying to us, but there are to telling us the truth.